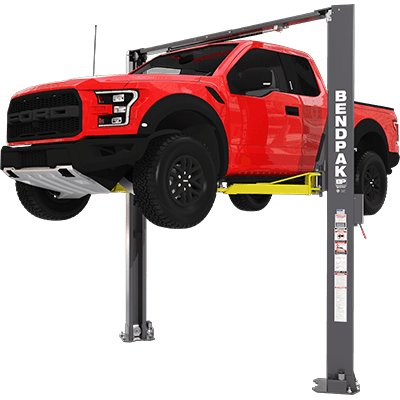 BendPak Lifts – Extra Tall-2 Post Lift – XPR-10AXLS– 10,000 lb. 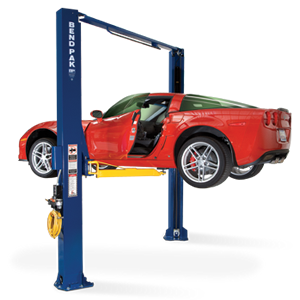 Lifting Capacity - Gary Bloom Sales, Inc.
10K car lifts don’t offer taller lift carriages or get easier to work under than this. If you need maximum security and an extended working height that’s ideal for taller individuals, you need the BendPak XPR-10AXLS. 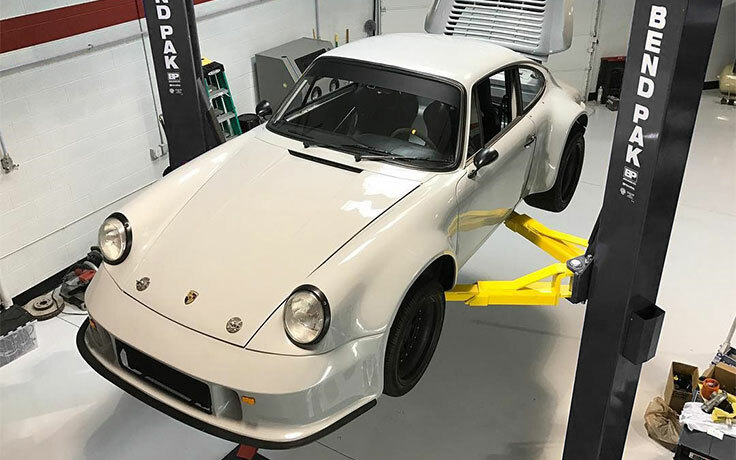 This particular two-post lift features an absolutely massive 75″ cylinder stroke, which means we did more than just extend the columns for the sake of overhead clearance. 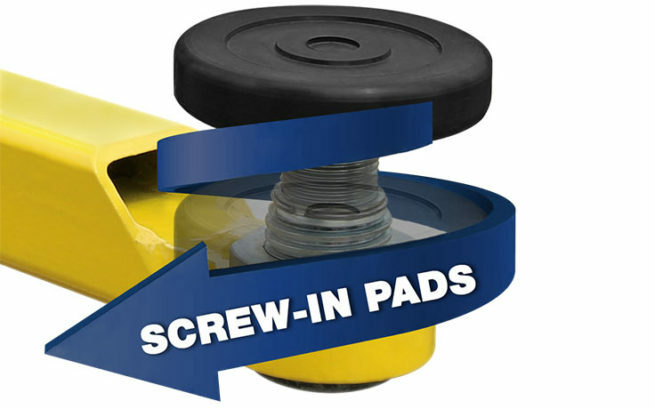 We actually lift the bottom of the vehicle 6″ higher than our standard 10K lift height. True safety requires taller carriages. 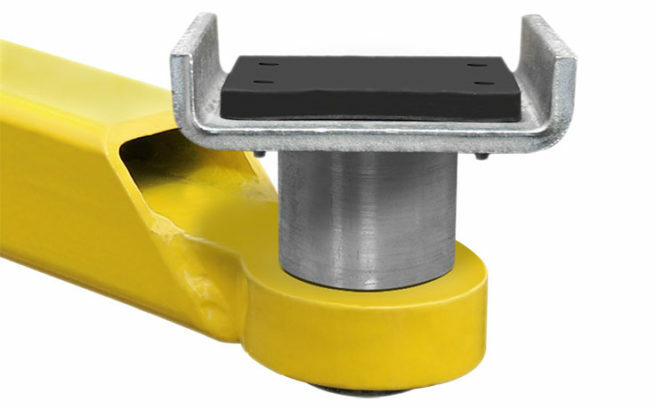 Higher carriages eliminate balance issues that come into play when lifting trucks and SUVs. The XPR-10AXLS offers tandem performing, low-pressure HVLP direct-drive cylinders that replace the lifting chains and screw-type mechanisms often featured on other two-post lifts. These direct-drive cylinders prevent leaks, are more reliable and run more smoothly than other systems too. Two-post lift operators generally prefer our Direct-Drive technology, as it requires fewer moving parts than chain-over lifts. Hydraulic fluid gets pressurized, starting at the power unit and flowing through the hollow cylinder rods. 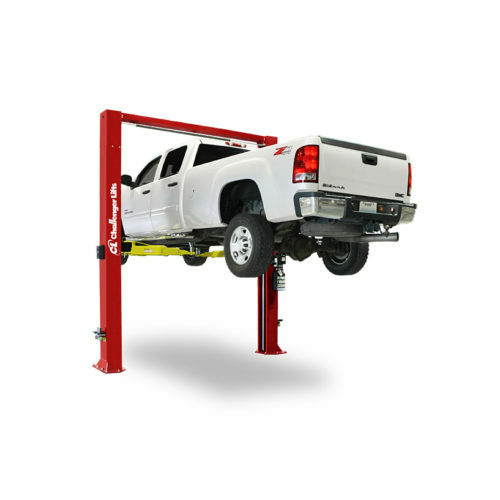 The downward motion of the piston rod raises the massive 75″ lifting height while dual-synchro equalizers ensure a safe, even, worry-free lift. 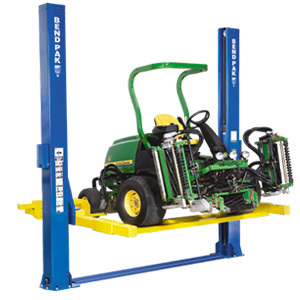 The 59″ carriage height on the XPR-10AXLS is the highest in class for our 10K two-post lifts. You’ll be hard-pressed to find a safer lift at a better value for your taller techs. Finally, tall mechanics can work ergonomically—no more painful stooping to get the job done. Why make our columns a single piece of steel? It reduces stress and fracture points. 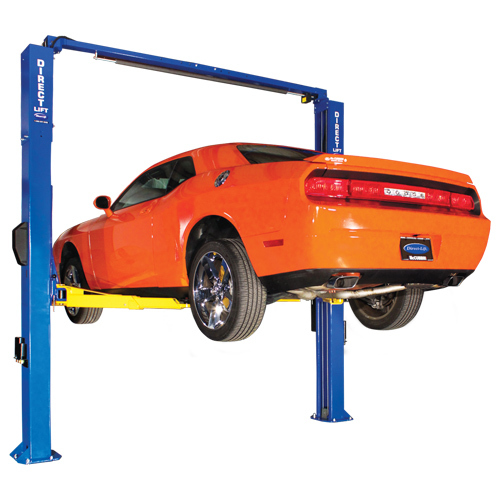 Simply put, your car lift’s columns are never going to let you down. The foundation of every BendPak lift is built to last for many decades of continuous, heavy-duty use in a fast-paced shop. B – Width Overall: (NARROW) 132″ / 3,353 mm . B – Width Overall: (WIDE) 145″ / 3,683 mm. C – Width Outside of Columns: (NARROW) 126-3/4″ / 3,225 mm. C – Width Outside of Columns: (WIDE) 139-3/4″ / 3,555 mm. E – Inside Columns: (NARROW) 105.5″ / 2,680 mm. E – Inside Columns: (WIDE) 118.5″ / 3,010 mm. F – Reach (Front Arm Min. ): 23-1/2″ / 597 mm. G – Reach (Front Arm Max. ): 45-1/2″ / 1,156 mm. H – Reach (Rear Arm Min. ): 42-1/2″ / 1,079 mm. J – Min. Pad Height: 4.25″ – 6-3/4” / 108 mm. – 171 mm. K – Rise: 75″ / 1,905 mm.